And just like that the year has come and gone! The last 2 months has been so busy with work, a full running calendar and training that my admin duties were slightly left behind. There are a few more races before the end of the year and a well-deserved break. 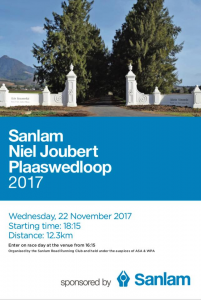 The Winelands marathon is a few days away and for those using it as a qualifier, best of luck! 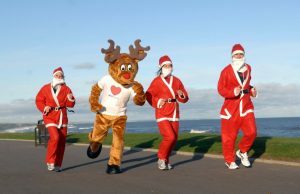 Here is a heads-up for our annual Christmas Run / Cycle. It will take place on 10 December 2017. Venue: PP Smit Sport Grounds. Followed by a scrumptious breakfast at the finish. This promises to be a fun event as always so don’t miss it! The last 2 months was showered with personal best and amazing achievements. 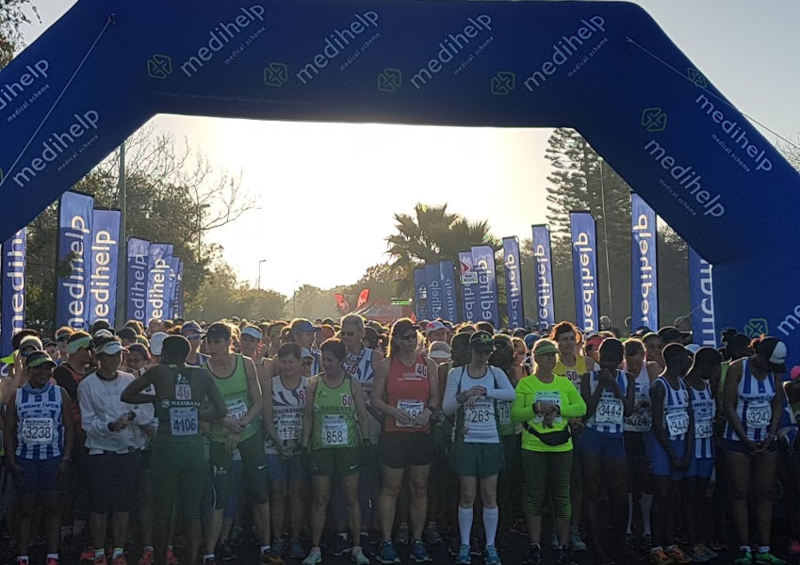 In September we started of wit our own Charity event, Medihelp Tekkie Challenge. To all our members that helped on the day a massive thank you. We had a great turnout in both the cycling as well as the running events. Two weeks after was the big one! 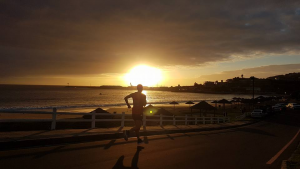 The Sanlam Cape Town Marathon. For some a sweet day and for other not so much. One thing I have learned over the years, is the day that you battle through makes you stronger for the next challenge! We gain experience with every race and that knowledge can be used to better ourselves in races to come. 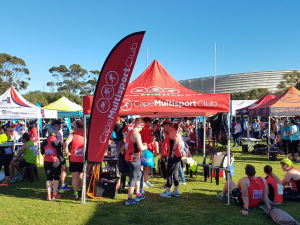 To Marilette and her team, thank you for making every Cape Multisport Runner feel at home! You guys Rock. I really do not want to single out anyone on the day, but I do want to mention that Neil Broers yet again ran a personal best and clocked yet another sub 3-hour marathon! One day when I am big I will also run like that. The week after that a couple of us travelled to Mosselbay to run the Petro Sa Marathon. What a magnificent event. Mark this one in your calendar for next year. It is not as easy as CPT Marathon but a wonderful experience. The 1st MSA 10km, Gunrun Half Marathon, Cape Gate Half Marathon, Ommiedraai 10km and the Chappies Challenge. Many of our members participated in some if not all of these events. Another thing worth mentioning is that both Comrades and Two Oceans Ultra was sold out in record time! It would be a very interesting discussion as to why this happened. Those of you who did not get a entry, do not despair, I am sure you will find a substitute entry next year! Our training for the month of September will continue as normal. 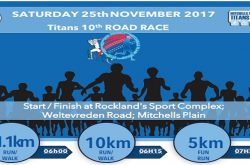 Our Saturday Pack runs consist of 10 & 15km, whereas Sunday is normally 15 & 20 kilometres. Members must please note that we cater for all speeds at both pack runs. We will not leave slower runners behind. I do however also want to request our slower runners to not take too long at the water stops. It makes it difficult for the hosts to get to the next point in time. 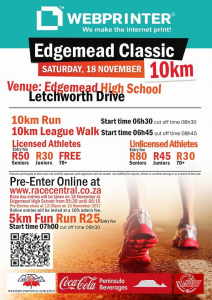 Please check the starting times of all events on Facebook, as they could change during winter. Running is something we all love. The environment is something we all love. Let us care for both! 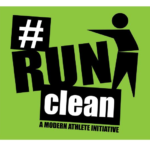 Remember that Cape Multisport supports clean running. When participating in any event, throw your sachets in the bins provided or keep it on you to the finish. There are 2 things that will help everyone run clean. Each one of us must be accountable for our actions. In saying that we also need to educate our fellow runners to do the same. I want to ask all our members to abide to all the rules when participating in races. It is there to keep us safe! If you want to know more about road running rules please contact me! Race referees are getting very strict! We have also created an open Facebook page to showcase to the world who we are. Please like the page, but don’t stop there. 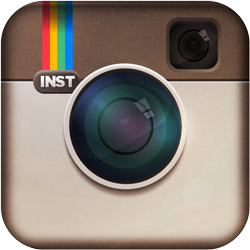 Share the page and invite your friends to join the page! Lastly, always remember to be safe and ….